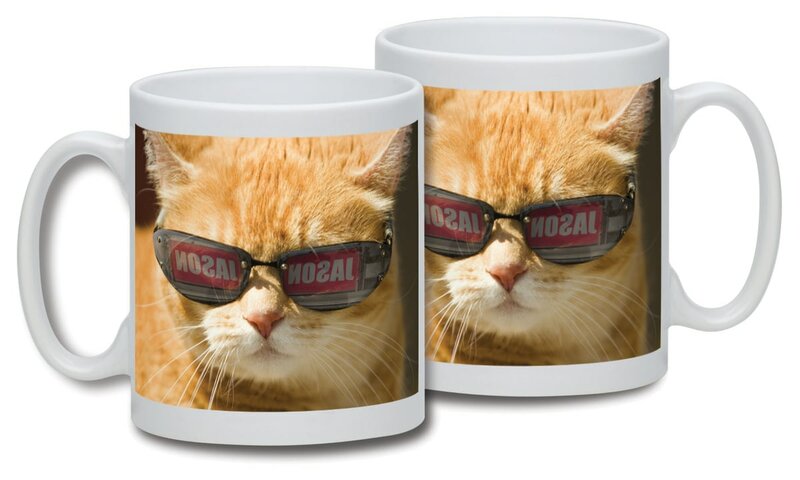 Make this ginger tom your own and have a name reflected in its shades, to appear both sides of the mug. The 10oz ceramic mug is microwave and dishwasher safe. This truly stunning gift is sure to raise a smile as the recipient sees their personalisation on the Grumpy Cat Worlds Grumpiest Cat Mug. This truly stunning gift is sure to raise a smile as the recipient sees their personalisation on the Grumpy Cat Needs Caffeine Mug. This truly stunning gift is sure to raise a smile as the recipient sees their personalisation on the Grumpy Cat Worlds Grumpiest Mug. This truly stunning gift is sure to raise a smile as the recipient sees their personalisation on the Grumpy Cat Emoji - Three Wise Cats Mug Blue. This truly stunning gift is sure to raise a smile as the recipient sees their personalisation on the Grumpy Cat Emoji - Three Wise Cats Mug Grey.